All you possibly need to make horrific faces. 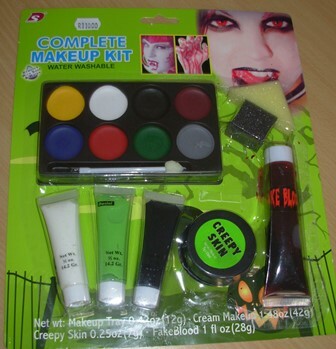 Set contains face -paint palette with 8 colours. Creepy skin, fake blood and 3 x tubes of cream make-up.